We donated some of our Showjumps inc X wings and black and white poles to help Alan Titchmarsh turn 39-year-old RSPCA officer Caroline Hall's wasteland of a garden into a spectacular animal-friendly haven. Check it out on ITV player or maybe you watched it live on 19th July 2016 at 8pm? 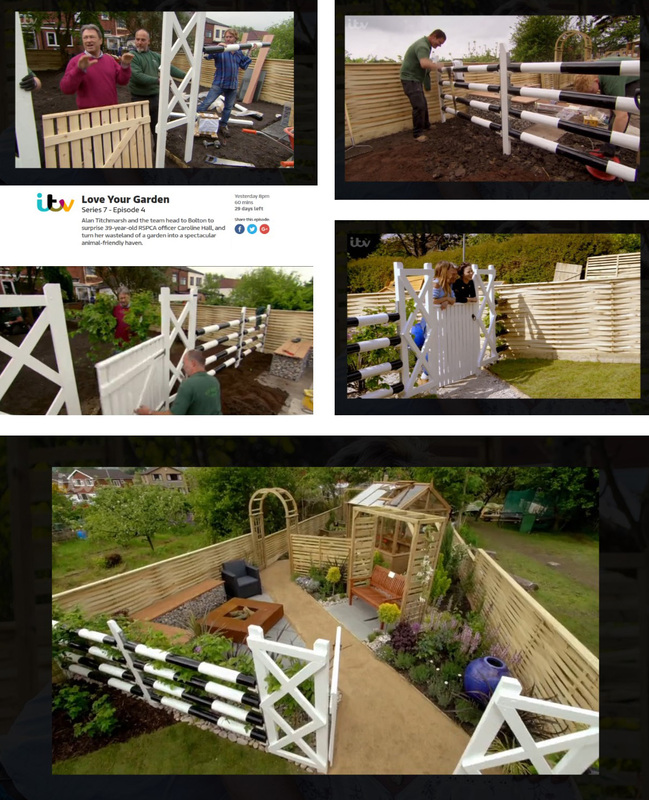 We loved the interesting way they used our Showjumps to create a divider in a very long garden.